Zack, his dad, and new stepmother have just moved back to his father's hometown, not knowing that their new house has a dark history. Fifty years ago, a crazed killer caused an accident at the nearby crossroads that took 40 innocent lives. He died when his car hit a tree in a fiery crash, and his malevolent spirit has inhabited the tree ever since..
Great story for listeners of all ages! Buildings have memories. Places bear scars. We've all had those moments - a chill in the air, a sense that something terrible once happened where we stand. But some houses are more than scary. They're hungry. Larkspur House has lured five kids inside, and they're trapped. 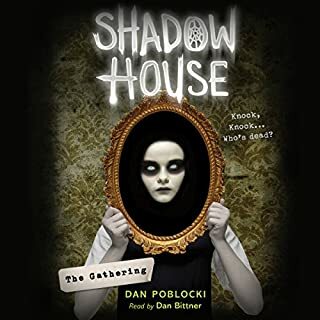 The five will have to look carefully - there are clues to the house's secrets scattered all over the grounds, and if they can figure out the past, it might show them a way out of their terrifying present. 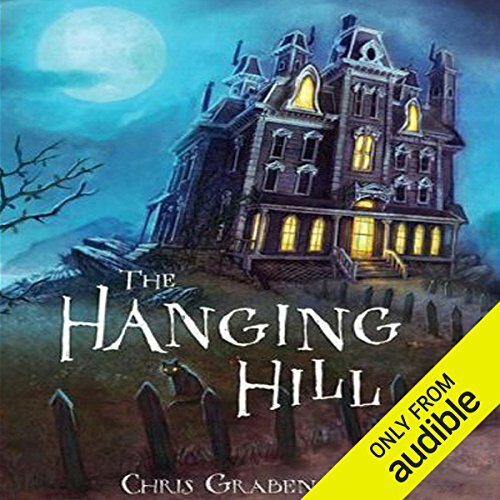 Eleven-year-old Reuben spends his days exploring, hiding, and practicing parkour among the abandoned buildings of the Lower Downs as a way to escape the rough times that have befallen him and his mom - but his discovery of an extraordinary antique pocket watch changes everything. When Reuben finds that the watch has the power to turn him invisible, he's propelled on the adventure of a lifetime. Now Reuben is being pursued by a group of dangerous men called the Directions, and someone - or something - ominously called The Smoke. As a lethal plague sweeps through the land, Ani Mells is shocked when she is unexpectedly captured by the governor's wardens and forced to submit to a test for the deadly Scourge. She is even more surprised when the test results come back positive, and she is sent to Attic Island, a former prison turned refuge - and quarantine colony - for the ill. The Scourge's victims, Ani now among them, can expect only to live out short, painful lives there. Thirteen-year-old Aluna has lived her entire life under the ocean, just like all of the Coral Kampii in the City of Shifting Tides. But after remaining hidden from the Above World for centuries, her colony is in trouble, its survival in doubt : the tech that allows the Kampii to breathe underwater is beginning to fail, and many Kampii have already died. Yet the colony’s elders, including Aluna’s father, are unwilling to venture to the dry and dangerous Above World to search for answers. So it’s up to Aluna and her friend Hoku to face the terrors of land to find a solution. Eleven-year-old P. T. Wilkie may be the greatest storyteller alive. But he knows one thing for a fact: The Wonderland Motel is the best place a kid could ever live! All-you-can-eat poolside ice cream! A snack machine in the living room! A frog slide! A giant rampaging alligator! (Okay, that last one may or may not be made up.) There's only one thing the Wonderland doesn't have, though: customers. And if the Wonderland doesn't get them soon, P. T. and his friend Gloria may have to say good-bye to their motel. Eel Marsh house stands alone, surveying the windswept salt marshes beyond Nine Lives Causeway. Once, Mrs Alice Drablow lived here as a recluse. 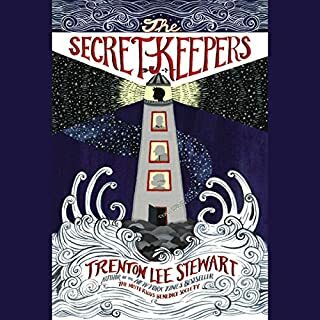 Now, Arthur Kipps, a junior solicitor with a London firm, is summoned to attend her funeral, unaware of the tragic and terrible secrets which lie behind the house's shuttered windows. Petra Kronos has a simple, happy life. But it's never been ordinary. She has a pet tin spider named Astrophil who likes to hide in her snarled hair and give her advice. Her best friend can trap lightning inside a glass sphere. Petra also has a father in faraway Prague who is able to move metal with his mind. Petra's life is forever changed when, one day, her father returns home - blind. How serious is stage fright? At the Hanging Hill Playhouse, it can kill you. After narrowly escaping a malevolent spirit in The Crossroads, Zack and Judy are hoping to relax during the rehearsals for a show based on Judy's best-selling children's books. Little do they know that the director is planning to raise a horde of evil specters from the dead, and to accomplish this, he needs a human sacrifice...and Zack fits the bill perfectly. 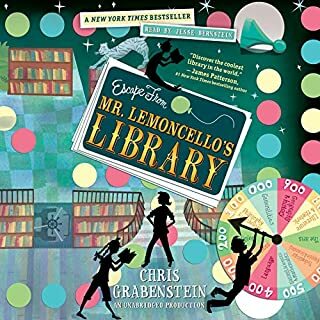 This second book featuring the intrepid Zack and his stepmother, Judy, is full of the same humorous and spine-tingling storytelling that has made Chris Grabenstein a fast favorite with young and old alike. 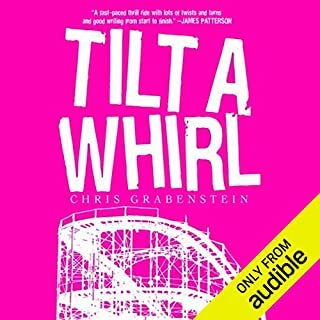 ©2009 Chris Grabenstein (P)2009 Audible, Inc. 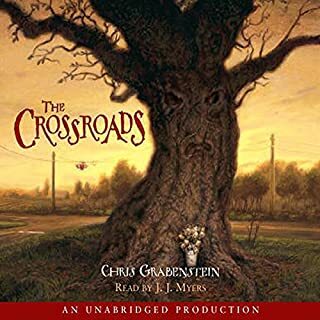 I bought this because my family loved the first book in this series (THE CROSSROADS) by the same author/narrator team. We all LOVED it! I think my kids (boy 9, girl 11) liked this one even more because it was so action packed. It takes place in a haunted theatre and it is full of great surprises. The narrator did an amazing job bringing these characters to life! There are many characters in the story & several of them are men (JJ Myers is female) and each character was very clear and different from the others which really helped us follow the story. This is a great listen for the whole family. 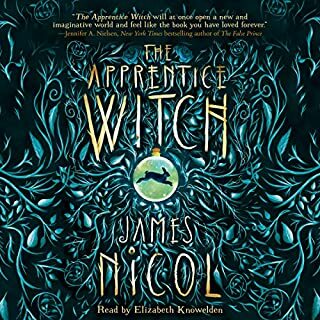 I hope there will be more from this author/narrator team. These kids deserve a better reader. Ugh! Maybe it’s just me, but I think if I were hiring vocal talent to narrate a kids’ book, I’d make sure the hiree could do kids’ voices. Not ventriloquist’s dummy kids, but real live kids. JJ Myers has one very bad voice for all the kids in this story- boy &amp; girl alike. She even uses it for one of the adults. It truly sounds most like that of a bad, bad amateur ventriloquist. All high nasal nonsense. I cannot finish, and I will return. Let me be clear, this was a special $3.95 purchase. I have greatly enjoyed many of Grabenstein's works. It seems, to me, this would be an interesting story for maybe 10-14 year olds. I hate to disagree with the other reviewer, but found the narration to be torturous. I will be sure not to purchase books with this same narrator again. Most characters sound like the narrator is breathing helium. I was surprised it was published like this. I wish readers could give two ratings on the books purchased, one for the story and another for the reading.